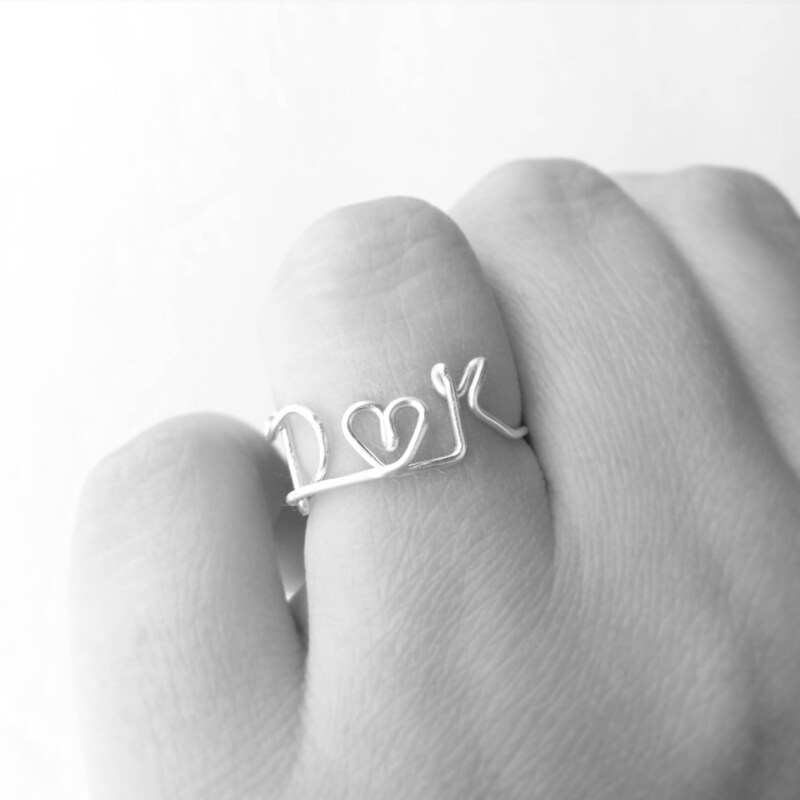 Lovers initials wire work, dainty silver ring. Your choice between sterling silver or silver plated. 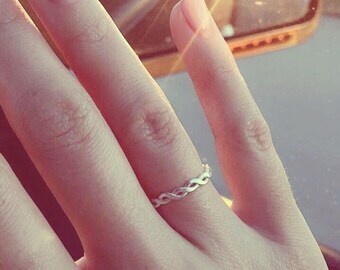 A delicate little ring to commemorate the love of two people. Please include the initials in the note to seller. As with most plated jewelry, excessive wear may result in the wearing off of the plating thus exposing the copper base metal. It’s advised to not wear during hand washing, bathing, exercise, or other occasions where it may be exposed to moisture. It’s also a good idea to remove any jewelry before for sleeping or before any strenuous activity.